This series features interviews with independent photobook publishers. This month’s interview is with the publisher of Dark Spring Press, Andrew Burgess. AB: I am an artist myself and have always collected art books. In 2009 I moved to Tucson, Arizona from London England and fell in with the amazing photography community here that revolves around The Centre for Creative Photography and Etherton Gallery, two great Tucson institutions. I started along the very addictive and dangerous path of collecting photography and photography books! Some years ago, I had a small but successful publishing company in the UK that published greetings cards and gift wrap but not books. I wanted to apply my experience of publishing and printing to my love of books. I also wanted a new challenge. The idea of starting a publishing house from scratch felt daunting but massively exciting and challenging! AB: It's very impulsive really. Our first book was a publication of a young and relatively unknown local photographer here in Tucson called Ernesto Esquer. I saw his delicate hand-toned and hand-painted silver gelatins in an exhibition and fell in love with them. I tracked down Ernesto, and spent time with him and his work. It seemed like the perfect fit for our first book—work that was quiet, sensitive and modest. 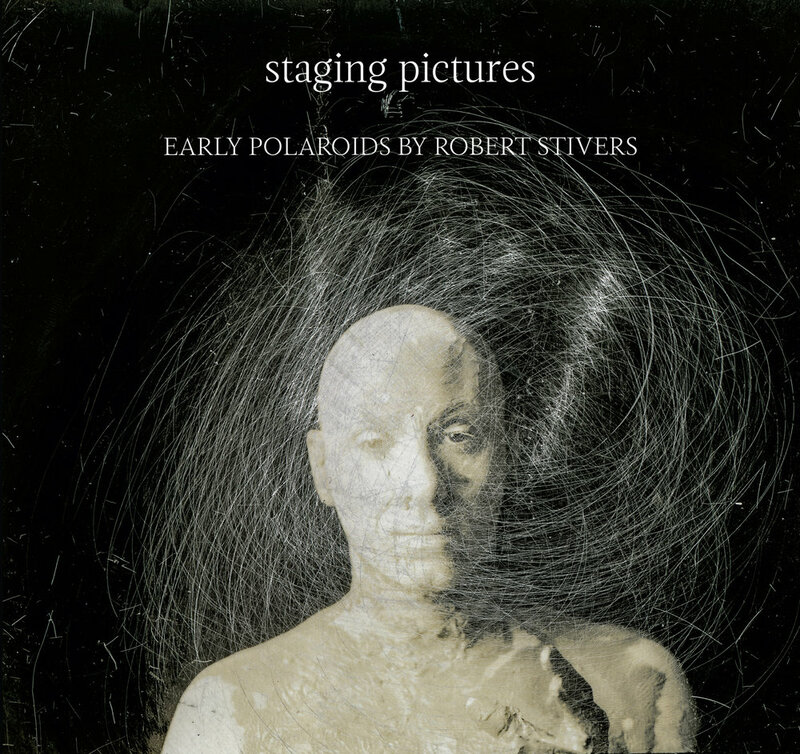 Our second book came about from a Facebook introduction with Robert Stivers, a well-established photographer from Santa Fe. Robert came through Tucson, visited me and showed me all sorts of amazing work, including a box of his vintage Polaroids that had never before been exhibited or published. I knew right away that they would make a fascinating and unique book. Robert has had very successful publications with both Twin Palms and Arena Editions so it was an act of faith on his part to let us publish this book. But I think he really responded to our enthusiasm and agreed that it was a brave project to attempt as the work is somewhat dark and edgy. AB: Well publishing a photo book is a tremendous labor of love and an act of faith...so both the books we have published have been amazingly rewarding. All the choices that have to be made in terms of scale and materials and printing and the long process of editing and sequencing make each book very unique. The Ernesto book was relatively easy to put together and as our first book it will always have a special place in my affections. The Stivers book took ten months and thousands of hours and I'm incredibly proud of how well it turned out! AB: We have several books lined up but I'm excited about the next one that will go to print. It's completely different from our previous two books. It’s a very classic book of portraits by well-established LA photographer Glen Wexler. Glen designed and did the cover art and photography for over 300 album covers in the 1980s. He's also been a very successful commercial photographer in the music, editorial and advertising worlds. He's also well known for digitally manipulated imagery. He was doing Photoshop before Photoshop! But the work that drew me to him was a series of classic studio portraits of musicians that he made in the 1980s using a Hasselblad film camera and studio lighting. They are exquisitely composed and lit and a beautiful record of those times. Quite a few of the images are of famous musicians such as Michael Jackson, Chaka Kahn, Herbie Hancock and Bob Weir of the Grateful Dead plus a whole series of really fun shots of the glam rock and "hair" bands of the eighties! AB: The Stivers book of Polaroids was super challenging because it went through several major design changes. I had it laid out conventionally with the Polaroids at actual size on a white background but it lacked the punch it needed. Eventually we blew up the images to full bleeds and made the whole book black and suddenly we had something with real visual impact and a wow factor. AB: I think every photographer has their own reason for wanting to publish a book and I wouldn't want to discourage anyone. For me, it's worth thinking about what would make a photography book a little bit unique and different from all the others being published. My advice would be to make a smaller book with fewer images but make it really high quality rather than making a big book and using cheaper materials. It helps to have a very coherent set of images that work as a distinct series. And if work is personal and has a voice then all the better! "Less is more" and "small is beautiful" would be two good credos to follow for a first book! Visit the Dark Spring Press website to learn more about their books.